Most people will agree on the importance of taking some time to forget about work and de-stress, but it’s not always easy. In our modern age of unparalleled digital accessibility and communications, getting away from work is harder than ever before. Granted, for some people this might seem like the nuclear option, but turning off your phone completely is one of the most effective ways to well and truly leave work behind the moment you set foot outside the office. With email notifications, instant chat messages and calendar reminders constantly popping up on your screen, forgetting about your professional concerns is impossible. If it’s just not feasible to turn off your phone, adjust the settings on your device to ensure that work-related information and updates don’t appear until a set time the following morning. It’s often beneficial to talk through work-related issues or concerns with a friend, partner or family member at home, but there’s also a risk of these subjects impinging on your personal time and taking over your life. If you really want to forget about work, make sure it doesn’t become the sole focus of your conversations at home. Find a completely unrelated subject to discuss with those close to you – whether it’s what your children did at school that day or where you want to go on holiday this year. An engaging hobby can be extremely effective in helping you to switch off from your day-to-day preoccupations and get some mental perspective on things. There are many possible pastimes to choose from – whether it’s a pursuit that teaches you something new and broadens your horizons, such as playing an instrument or learning a language, or an activity that improves both your mental and physical wellbeing, like walking or cycling. 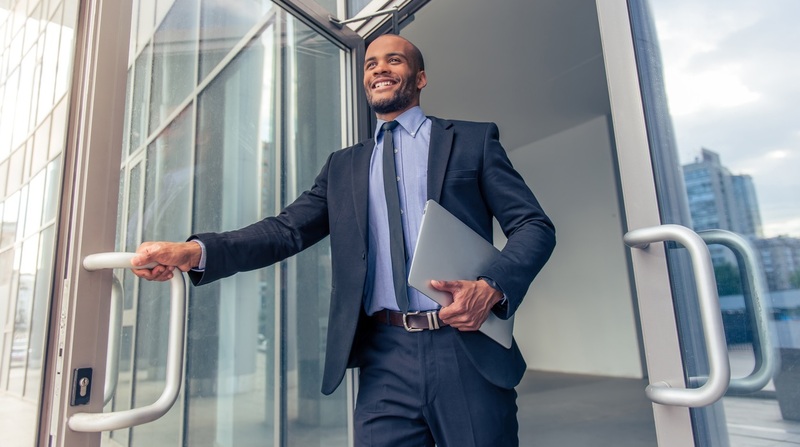 Having something to look forward to after work provides a strong incentive not only to leave the office, but to get into a different mind-set and focus on other things as soon as you walk out of the door. It can be highly beneficial to prioritise non-work-related experiences that you find particularly enjoyable or rewarding, such as coming home early to surprise your children or partner, making regular visits to the cinema or going out to eat. It’s easy to dismiss these things as less important than your job or business, but they have a vital part to play in your overall mental and emotional wellbeing. If little problems or doubts that have been eating away at you all day are left unresolved, you could find it difficult to switch off and forget about work at the end of the day. Finding a resolution to these issues might be a difficult, long-term process, but just making a start or putting constructive plans in place could drastically improve your mind-set before you leave for the day. Little habits and tactics such as these can all come together to help you make the most of your non-work time, ensuring that you are re-energised and ready to take on fresh challenges every day.